Jerzy Trela ? Chilon Chilonides - Sztuko i kulturo quo vadis? 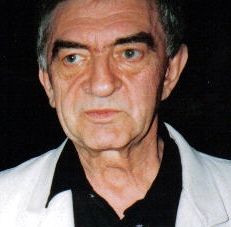 Jerzy Trela (born March 14, 1942 in Leńcze) is a Polish actor. In 2003 he starred in the film An Ancient Tale: When the Sun Was a God under Jerzy Hoffman. During the communist era, he was a deputy in the Sejm. Jerzy Trela fot.wikipedia This file is licensed under the Creative Commons Attribution-Share Alike 2.0 Generic license. 2019 Jerzy Trela ? Chilon Chilonides - Sztuko i kulturo quo vadis?